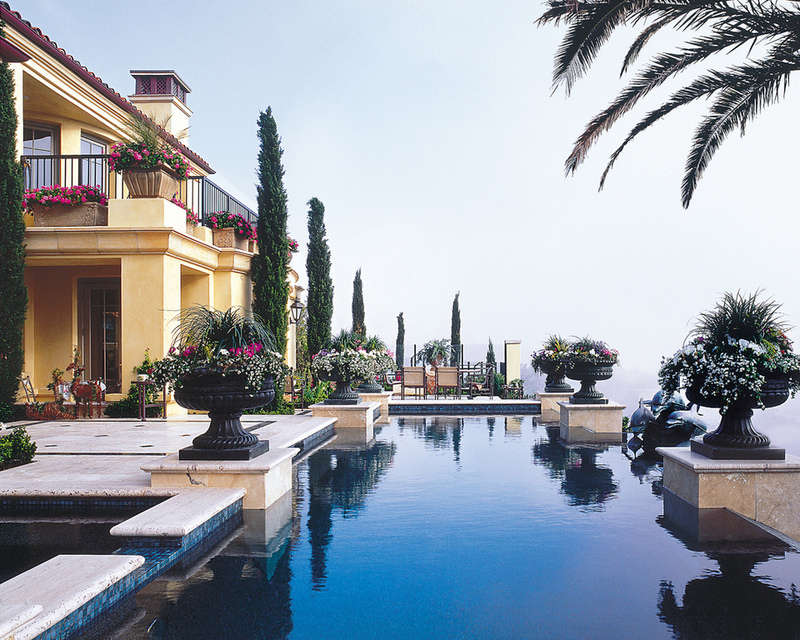 Swimming pools and spas are a summer luxury that's becoming more widely available. Water is an important part of our lives, and its health benefits have been recognised for thousands of years. It doesn’t matter whether your home is contemporary or traditional — if you dream about an in-ground or above-ground pool and spa, there's a pool style and size to suit your needs. 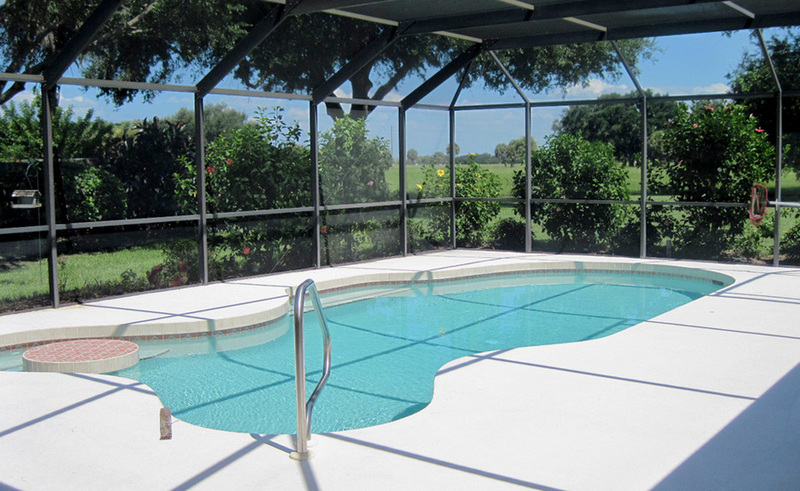 In-ground pools provide a truly integrated look and have been popular for ages. However, composite fibreglass pools and pre-manufactured above-ground pools are making their way up as well, mainly due to their friendly price and easy setup. A swimming pool or spa is almost always the centrepiece of a home's outdoor area. There are two major concerns to consider: functionality and theme. Although the appearance of your backyard oasis is important, let’s focus on functionality first, since it's functionality that will keep you coming back again. 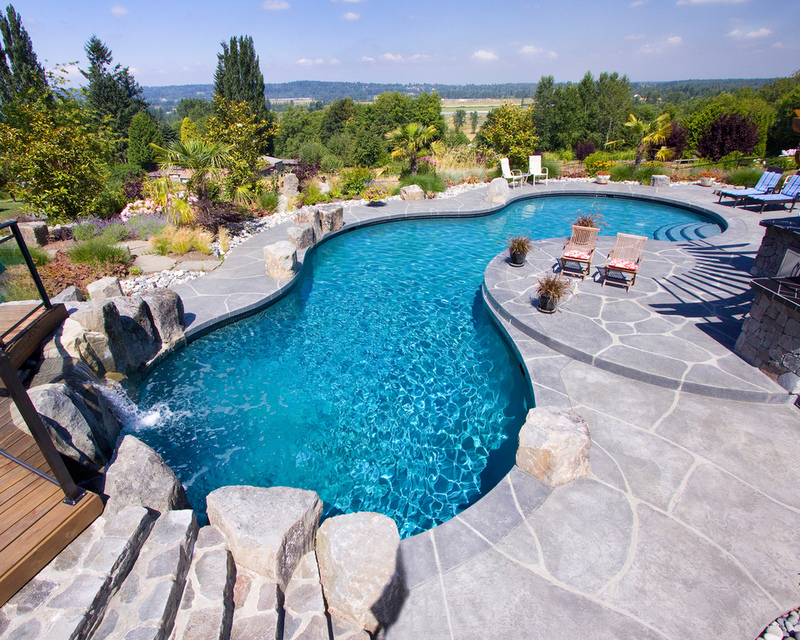 If you never had a pool before, the first things to consider are size, shape, entry, depth, filtration, and location. If you already have a pool and you're thinking about changing it for a new model or remodelling it, remember that you can save a lot by making and re-using most of your existing site, such as layout, terrain, fencing, and screening. It's a good idea to incorporate your new pool or spa into the overall outdoor space. Think about creating an outdoor lounge, kitchen, or dining area and consider how your new pool and spa will fit in. Fencing is a rather neglected part of the swimming pool, but it's absolutely essential when it comes to pool safety. You can use screens and fences to define boundaries, and they also give you a sense of privacy. Pool covers reduce water loss due to evaporation and reduce the amount of cleaning you need to do. Installing shades or shields can also tackle evaporation and provide shade during hot summer days. Last but not least, position your pool and spa so they look very appealing from the inside, too. That way, you'll be able to enjoy your swimming pool throughout the year and not only in summer. Your pool and spa should match the other outdoor features in your backyard. Remember that outer and inner spaces should transfer from one to the next seamlessly, and a unified theme can make the transition much easier. You can find inspiration from a particular style or culture like Lebanon, Bali, or Japan, or you can build on the appearance of your home interior and exterior. Whatever décor you choose, make sure it's consistent with your pool and spa design. Greens can help you a lot when tackling the landscape question. If you’re trying to create an arid garden, you could go for succulents. Or if you want a tropical garden, consider plants with lush, colourful foliage. You can achieve minimalist, very modern, upscale design using clean lines, simple colour palettes, and materials like glass, concrete, and steel. Timber and natural stone in a less formal arrangement will, on the other hand, give the impression of a naturally inspired space. Shrinking residential blocks and council rules regarding the amount of space you can use don't favour lavish outdoor spaces or sprawling pools. Compact and smart are today’s trends. The size of a pool doesn’t change how much you enjoy it. The length or size of the pool aren't important for the average family’s backyard. Small kids up to age five or six tend to be limited users, as they only stay around pool benches, on stairs, or on their parents' laps. From the age of five or six to thirteen or fourteen, kids tend to occupy the swimming pool fully by playing water games and chasing each other around. Older teenagers and adults prefer to sit on the benches, sip their drinks, and chat rather than mess around. So a larger-sized pool is only really important for children from around five to their teenage years. The function of swimming pools is changing too. The backyard isn't just for a pool and spa. We want to use the garden space as a fusion of indoor and outdoor entertainment, with the swimming pool as one component of the area. Other popular aspects of outdoor spaces are lounge rooms, barbecue areas, fire pits or pizza ovens, gardens, and lawns. 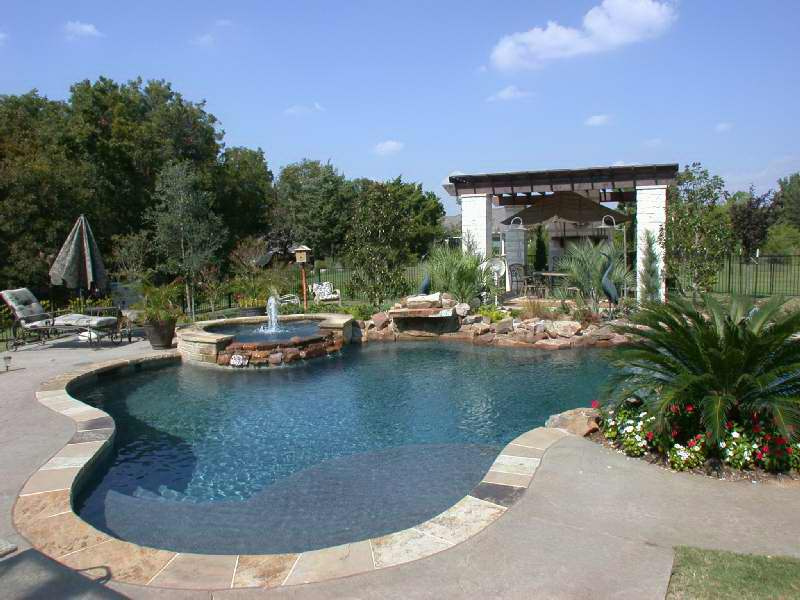 Stylish, modern pools are small in size but packed with lots of trends, style, and functions. The variety of small pools is endless, and you can choose from plunge pools, lap pools, courtyard pools, rooftop pools, swim spas with swim jets, and oversized spas. Lap pools are the best option for people who take swimming seriously and love to exercise. In general, a lap pool comes in a few standard sizes. Common lengths for domestic lap pools are 12.5 metres, 15 metres, and 25 metres. Laneway widths can start at 1 metre. Lane dividers are available at any bigger pool shop. It's important to bare in mind that you should paint lines on the pool floor at the time of construction using either tiles or paint. Plunge pools are the most popular choice. Their sizes range from from 6 metres by 3 metres down to 2 metres by 3 metres, but any size would do. 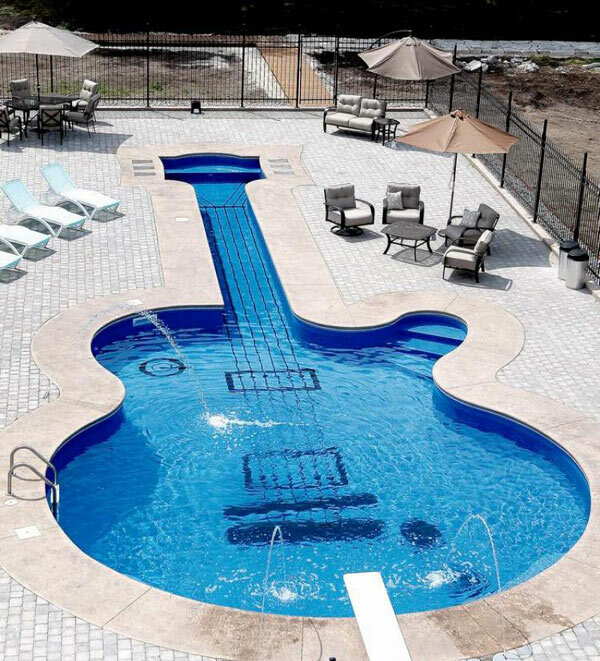 This type of pool doesn’t have a strict recommended size. Plunge pools are suitable for small, regular-shaped spaces, such as courtyards and little gardens, where only a small portion of the yard is designated for the pool. The combination of plunge pool and spa is also very popular. When you install a simple heating system, you can use the pool throughout the year. The number-one advantage of plunge pools is their compact size, and often their design is extremely important because they double as beautiful water features. Plunge pools can often incorporate swim jets that allow you to remain in place while exercising. Swim spas and oversize spas are usually prefabricated from fibreglass and ready to install. They're the ideal pool solution in tight spaces. One limitation of the swim spa is its depth, which tends to be either 0.9 metres or 1.2 metres throughout. On the flip side, the clear advantage of these spas is their ease and speed of installation. Large spaces are more forgiving — so the smaller the pool, the more perfect it should be. Good design for small pools is even more important than for larger alternatives. Clean, simple lines and functions work best, so don’t overdo it with décor and accessories. You can design pools in small spaces to serve as water features too, acting as the focal point in a small space. Deep, dark colours make a bold statement and help your pool stand out, while light, beige, and washed-down colours blend the pool into the overall garden. Be careful about using light and mid-range blues — these colours suit larger lap pools better. Smaller pools in blue shades lose effect and are out of place. 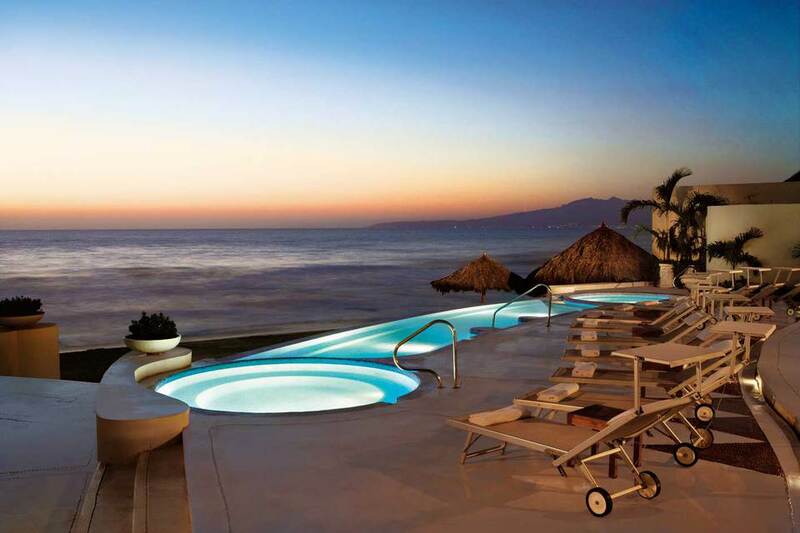 The current trend of simplification fits with pool and spa design well. Small pool design is becoming less complicated, using straight and clean lines and monochromatic palettes. Colourful mixes and patterns are more suitable for towels and lounge chairs. People are looking for value and quality, so smaller but high-quality design are on trend. Pool depths range from 1 metre to 1.8 metres. But pool designers usually flatten the base and increase the depth of the shallow end to increase the volume of water, allowing you to dip into the cool water and sink down for the perfect cooling summer experience. Tiles are the most common material for small pools and spas. The surface area is reduced from a normal pool, and so the cost of using a more expensive finish lessens proportionally. Similarly, high-quality stone — such as Himalayan sandstone or travertine — is popular for paving. Benches in traditional pools are located along one of the sides. But the new trend is to make benches turn the corner to create an entertainment nook. Swimming pools and spas no longer need two separate basins. The spa can be anything from a jacuzzi to a hot tub, and you can usually incorporate it into the swimming pool. There are two major types of spas. Fibreglass or acrylic spas are portable, so you can quickly install them compared to concrete spas. This is a low-cost option that offers smooth, contoured seats and lounge areas. There's a wide choice of massage jet options, providing great hydrotherapy options. The beauty of reinforced concrete spas is their limitless design possibilities. You can design concrete spas to a create more exciting, visually appealing, highly functional place. If a spa is integrated with a pool, it offers the added benefit of the spa water cycling from the pool water. Home spas have been popular so far over the past decade, and they'll stay as long as there's demand for stress relief and calm. Technological advances will result in better jet design, filtration, and sanitation. We can also look forward to more innovative materials and accessories, like using lighting and sound to create unique features.